World War II began with a metallic roar as the German Blitzkrieg raced across Europe, spearheaded by the most dreaded weapon of the twentieth century: the Panzer. 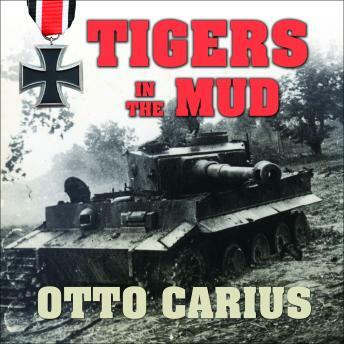 No German tank better represents that thundering power than the infamous Tiger, and Otto Carius was one of the most successful commanders to ever take a Tiger into battle, destroying well over 150 enemy tanks during his incredible career. This is one of the better accounts of a German panzer commander during WWII. Otto Carius takes the listener through the tough accounts of the Wehrmacht primarily on the Eastern Front. It was surprising to hear how defeated the German army was by the time the western allies broke out of France. Entertaining and educational.